What kinds of services does H2 Environmental Consulting Services offer? We offer a plethora of various services at H2 Environmental Consulting Services. Our main focus in terms of underground storage tank services is to make sure every one meets federal, state, and local regulations. They are rather heavily regulated because of the risks of contamination of groundwater that every Californian relies on for drinking, cooking, and bathing every day. That’s why it’s essential that if a problem with your underground storage tank develops, contact H2 Environmental Consulting Services right away for immediate service. We have many years of experience dealing with underground storage tanks, so you can definitely trust us to effectively fix any problem that arises. If you have an underground storage tank need that isn’t listed below, feel free to contact H2 Environmental Consulting Services by calling (800) 524-3578 or emailing CustomerService@H2Env.com, and more than likely, we’ll be glad to meet your need. Here’s a quick rundown of the standard services available at H2 Environmental Consulting Services, which are divided into 4 categories — underground storage tank management, tank closures, remediation services, and monitoring systems. This includes tasks such as handling all UST designated operator duties, evaluations of systems inventory, site assessment and investigation, regulatory compliance, tank integrity testing, and design of corrective or remedial action if it is currently or becomes necessary. Tasks that fall in this category include construction management, handling contractor specifications, tank excavation and removal, as well as required reporting to all applicable government agencies. If you have an underground storage tank that may be leaking contaminated substances, call the experts at H2 Environmental Consulting Services immediately. We can handle all necessary remediation services including air sparging bioremediation, plume control, vapor extraction, and biological degradation. Let us handle your observation wells, as well as the design and installation of all monitoring systems. 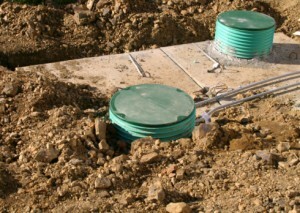 When it comes to underground storage tanks, you can’t wing it by hiring just any random company. You need to find a company that will take your underground storage tank needs seriously, handling every necessary task with detailed focus and efficiency so you won’t have to worry about them. Go with Southern California’s underground storage tank specialists at H2 Environmental Consulting Services–you’ll be so glad you did! Begin your partnership with H2 Environmental Consulting Services today by calling (800) 524-3578 or emailing CustomerService@H2Env.com. We’ll discuss your needs and start developing an ongoing plan to make sure your underground storage tank stays safe and useful to you for many more years to come.